Maryland Old Senate Chamber - Week 1 | John Canning & Co.
As promised in our newsletter, as we anticipate the grand opening of the Maryland Old Senate Chamber at the end of this month, we would like to share a few of our project photos and what went into restoring the room back to the eighteenth century. The project is a favorite of ours because of the history behind it. 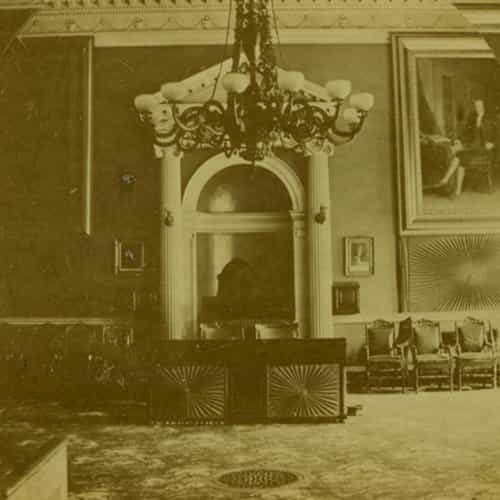 Much more than a period restoration, we were restoring the Maryland Old Senate Chamber back to the day George Washington, resigned his commission. 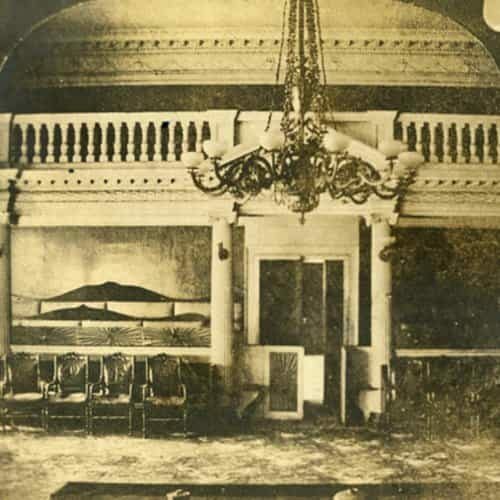 To begin with, the room was completely gutted and we were using historical photographs, paintings and archival research to make sure our work was historically accurate. 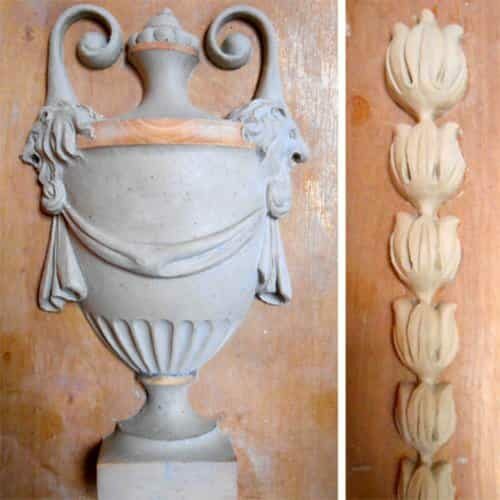 The first task was properly reinstating the cornice and frieze that encompassed the room and using our research, floral swags, rosettes and other essential features of were drafted and reproduced into a full scale clay model. Each clay model was then used to create flexible rubber molds and cast using traditional molding plaster. 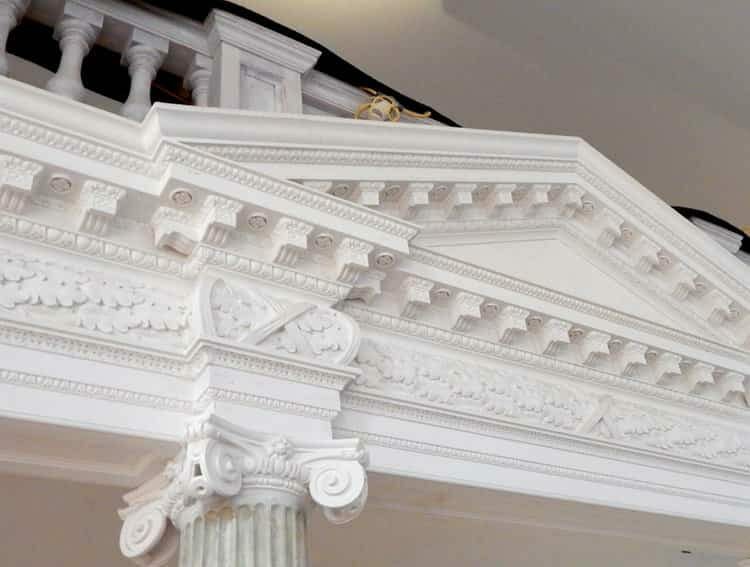 Hundreds of small cast ornaments and rosettes were made for the cornice and frieze around the room. 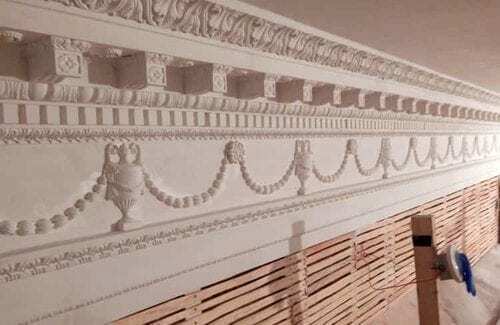 The cornice was cast in large sections and hand tooled after installation in order to make it whole. The next step was the installation of the lath, applied to the walls and ceiling. The lath consisted of hand split old growth yellow pine. A three coat plaster system was applied using high calcium lime plaster that was flaked for over one year and hog hair fiber was mixed in for reinforcement. As all the elements came together, the room was once again whole and history was quickly becoming a reality.